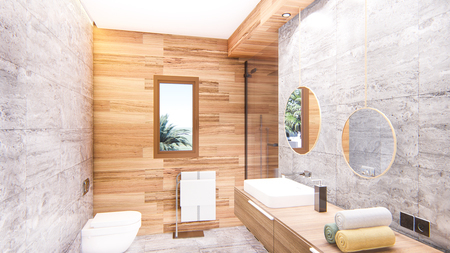 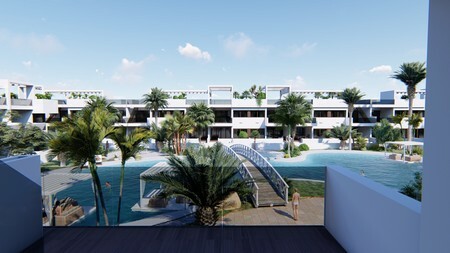 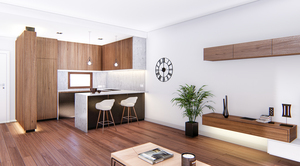 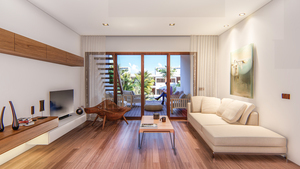 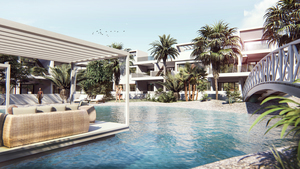 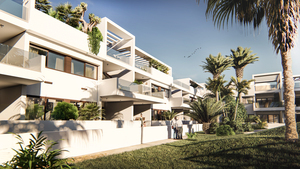 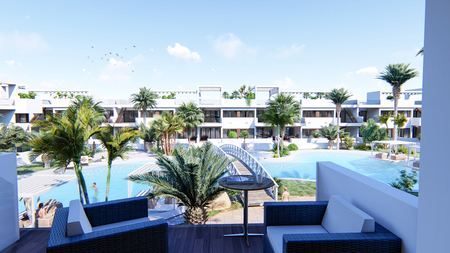 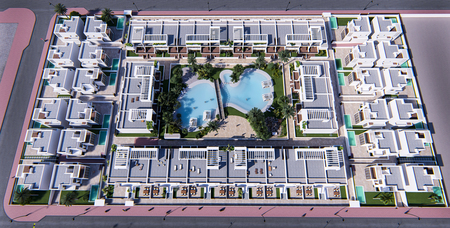 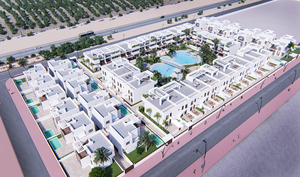 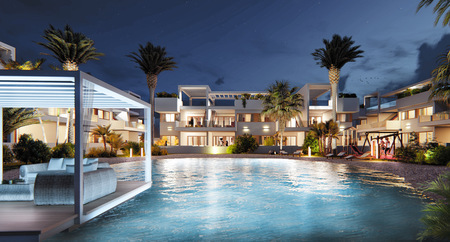 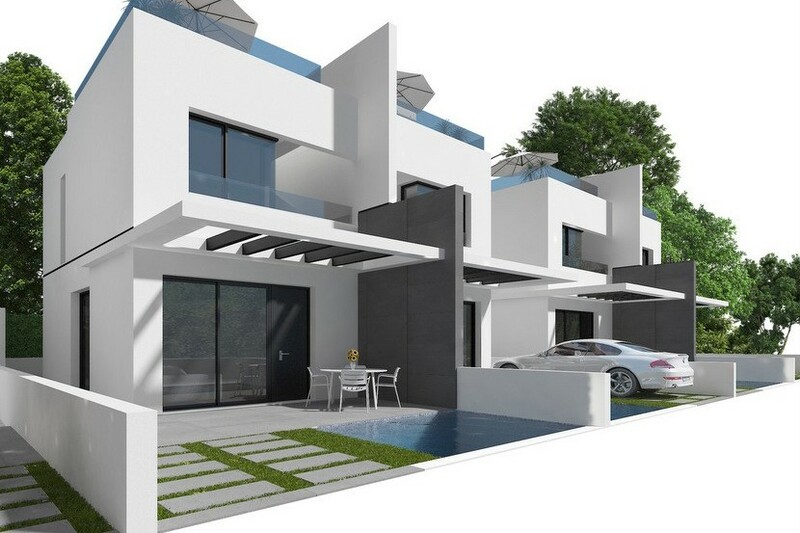 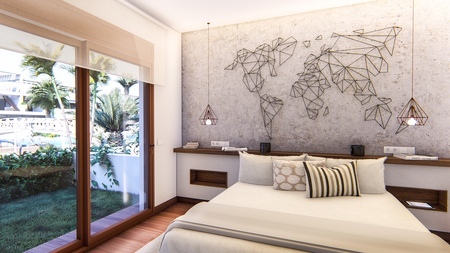 These brand new 2 bedroom, 2 bathroom apartments are located in Los Balcones on the exclusive Laguna Beach development which has a beautiful relaxing communal area with swimming pool. 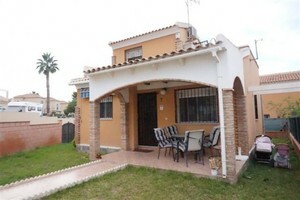 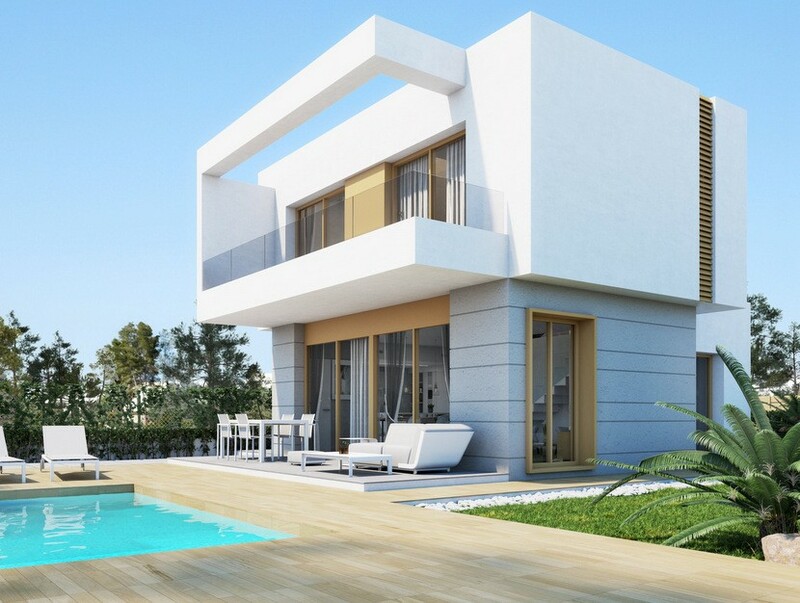 The properties also overlook the Torrevieja salt lake, are close to bars, shops and restaurants and only a few minute drive from the sea. 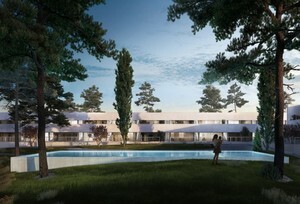 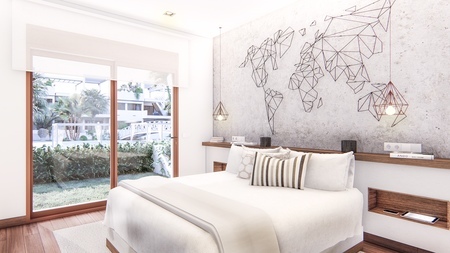 The properties consist of a lounge/diner with patio doors which lead onto a large 35 m² sun terrace, an open plan kitchen/diner, a master bedroom with en-suite and access to the sun terrace, a further double bedroom which has access to the front terrace of 30 m² and a guest bathroom. 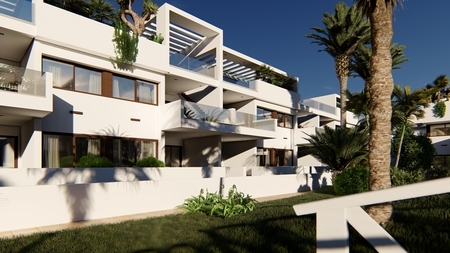 Penthouse apartments (starting from 179.900€) with private solarium (75sqm) are also available and a secure underground parking place is included in the price. 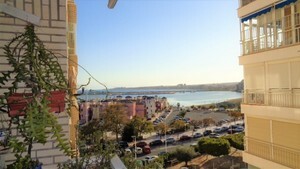 This is a beautiful high quality apartment which is set in a great location with amazing views over the Torrevieja salt lakes. 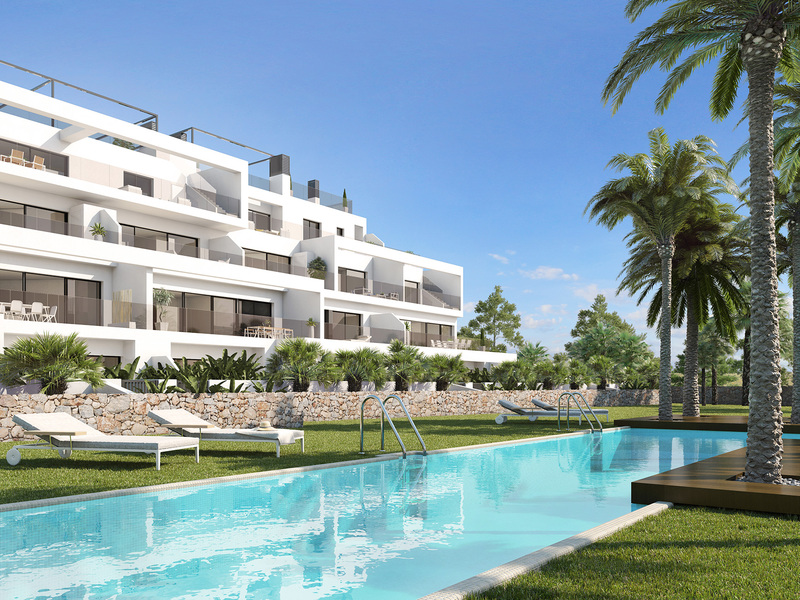 The Los Balcones area is well established and close to a great range of amenities including bars, shops and restaurants and also the bustling Spanish town of Torrevieja is only a few minute drive away.